Well, at least one of the above is still successful today. To think it all started with a club invented by a man named Thomas Crow who decided to come up with a utility wood called “The Baffler” in 1975 that has a unique sole-plate design that is amazingly effective from various lies. Then, in 1979, Cobra introduces an extended 46-inch driver with a graphite head and shaft, and continues to tweak the idea until they finally offer stock graphite shafted woods and iron for more of their clubs in 1985. They continue to define breakthrough technology and production and lead the industry by creating an autoclave system for strengthening their graphite shafts — one of the only companies to make such a dynamic development in over twenty years. Oversized irons become their namesake in the ’90s and become very popular in the world of golf — including the famous King Cobra II irons in 1996 and one of the first cavity-backed irons (Gravity backs) in 1999. Shaft technology advances again at the turn of the millennium as Cobra invents the Airweight shaft — the first iron graphite shaft weighing less than 50 grams. The 2000s mark enormous amounts of sponsorships and Tour victories for Cobra products — especially in the persona of Geoff Ogilvy. In 2010, Puma purchases Cobra Golf and prepares for an even greater drive for market share with a huge platform of equipment and apparel. Cobra has become synonymous with excellent drivers for both women and men — including the Cobra Women’s S2 Offset Driver and the Men’s Titanium S2 Driver. Many of their drivers even boast adjustable hosels to fine-tune to the club to specific style of swing. These clubs are extremely fun to swing for any level of golfer. 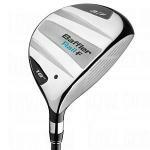 Not to forget their heritage, Cobra continues to use the name “Baffler” for one of their popular fairway woods. The dual rail sole helps keep turf drag down and adjusts to several different types of lies. The Ladies’ Baffler still remains one of the more popular fairway woods on the market. Check out some of the other offerings from Cobra golf — and pay specific attention to some of the technology in the shafts themselves. They truly are some of the most advanced designs available on the market. Alright ladies, if you can't hit these irons, then you should consider tennis (or at least a lesson with a pro). 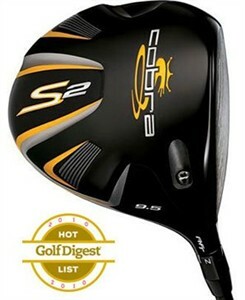 These Cobra S2s are such forgiving clubs that you are going to fall in love with them. I dare you to try and slice the ball with this driver. 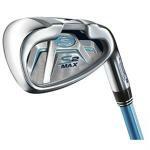 The Cobra S2 is offset to help you close that clubface at impact and have the ball fly straight, and maybe even draw a little bit. This new Baffler Rail Hybrid is a new club with an old (tried and true) design. As a matter of fact, the Baffler has been around for thirty years. Let's take a look at some of the latest technology built into this very forgiving club. 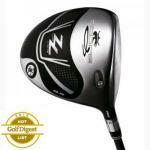 This is one of the most reasonably priced of all the modern fairway woods. 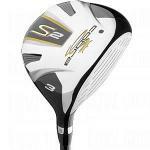 And you get quite a bang for the buck with all the technology packed into this fairway wood.